As Penland evolved into one of the world's most prestigious glassblowing schools, the existing studio no longer served its needs. Working with several local glass artists we designed a new 5,000 square-foot facility. Considerations in the design and choice of site on the 450-acre campus were air circulation, safety, control of noxious fumes and noise. 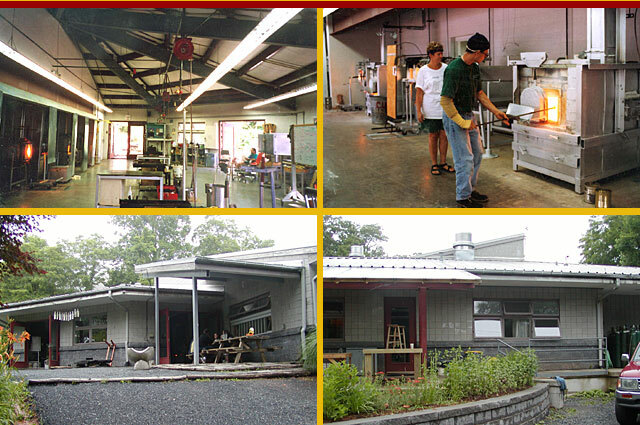 Spaces include the hot shop, cold shop, lampworking, plaster/molds, sandblasting as well as classroom/work areas.